If you or your child experience sensitivity after a regular cleaning, going to the dentist can seem like a stressful event that he or she may develop anxiety surrounding. Because twenty-seven percent of children will have a cavity before age five, it’s important to know how to prepare your children for their pediatric dentist visit and learn the steps you can take to achieve a cavity-free checkup, including limiting sugary snacks and candy. To minimize your child’s fears prior to an appointment for a filling to be placed, discuss the upcoming appointment using positive language and avoiding language that may frighten them. Your pediatric dentist is extensively trained in easing your child’s anxiety and preparing them for each step of the process. fluoride containing toothpaste leading up to the appointment. What Kind of Anesthesia Will be Administered During the Procedure? In most cases, a topical or local anesthetic will be sufficient in preparing your child for the procedure. To ease nerves and calm the gag reflex, your dentist may choose to administer nitrous oxide gas along with the local anesthetic. For children experiencing severe anxiety or with special needs, a general anesthetic may be required, which will be administered only by specially trained office staff. Don’t hesitate to discuss any questions or concerns regarding the administration of local or general anesthesia with your Gentle Care Dentists professional. How your child’s pretreatment assessment will be performed, including a review of their medical records, allergies, and current prescriptions. How your child will be monitored once an anesthetic has been administered, and what certifications the dental professional administering your child’s anesthesia holds. What kind of emergency medical treatment plans or medications are in place, if necessary. Our fully trained team of dentists and medical professionals are here to help! What Should I Expect During My Child’s Filling Procedure? In most cases, it will take about one hour for your dentist to perform a filling procedure. If your child requires multiple fillings, the procedures may be split into two or more office visits to reduce anxiety and ensure that your child is able to sit comfortably through each visit. Our pediatric dentists are experienced in easing your child’s fears surrounding the procedure and using friendly language to explain the procedure in simple terms before any dental work is performed. Your pediatric dentist may employ a ”show and tell” method, in which they let your child become familiar with any tools they will be using and explain their purpose at each step of the process. Upon request, movies and music are available during the appointment and filling procedure to distract your child from any scary moments. What Sort of Aftercare Plan Should Be in Place Following the Procedure? Sensitive teeth and minor swelling may occur after filling work has been performed, this is normal and is no cause for concern. Monitor your child, especially children under five, to make sure that they are not biting down on their lips or tongue in areas that are still numbed from the anesthetic. Normal swelling should last between 24-and-48 hours. If swelling persists after this timeframe, schedule a follow-up consultation with Gentle Care Dentists. Your child’s dentist can determine if a bite guard is necessary to reduce swelling and assess your child for other factors contributing to ongoing swelling. Place your child on a diet consisting primarily of soft foods for 48 hours following the procedure. Avoid straws and sippy cups for 48 hours following the procedure, as these may increase sensitivity. To ease any discomfort, use a cold compress on the area in which the filling was placed, following the ”15 minutes on and 15 minutes off” method. 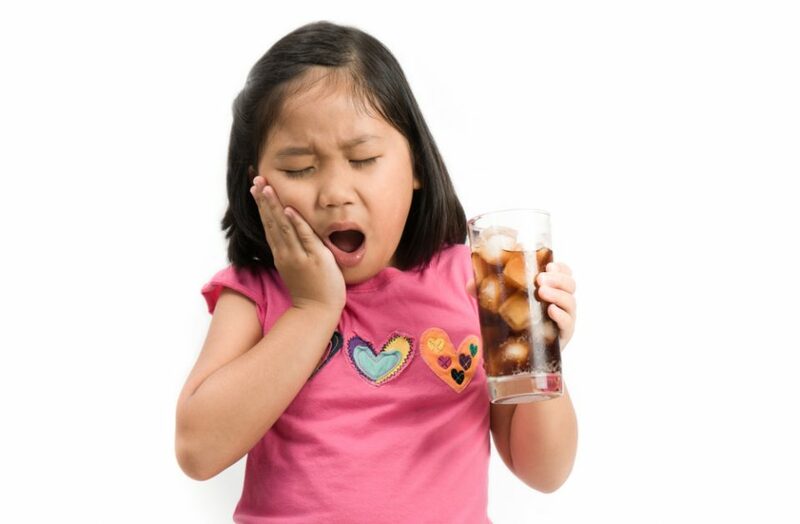 Administer a consistent dose of acetaminophen as advised by your child’s dentist. Avoid rigorous activity on the day of our child’s procedure, following the procedure and the day after to ensure an easy recovery. Ask your child’s dentist about the use of a sealant treatment to avoid future cavities. By following the advice outlined here, you can ensure that your child has a pleasant experience at the dentist’s office while instilling healthy oral hygiene habits for life. Dealing with sensitivity following a dental filling procedure can be challenging, but taking the guesswork out of the procedure and aftercare will reduce anxiety surrounding checkups! We pride ourselves at providing you the highest quality dental care at our state-of-the-art facility. Our comfortable, relaxing environment caters specifically to individuals with anxiety of going to the dentists. We strive to ensure fully personalized services with the most up to date and advanced technology available, performed by doctors who are highly qualified professionals in their respective fields. 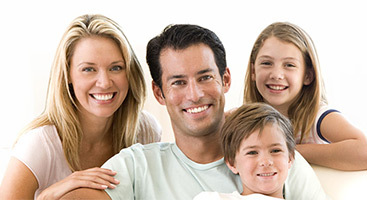 We provide a host of services such as Family General Dentistry, Cosmetic Dentistry, Oral Surgery, Periodontic Surgery, Orthodontic Treatment and Endodontic Treatment in a comfortable and caring environment. Our use of only high quality certified materials on all our procedure makes us the only practice that can provide up to five years of full warranty on the work done. These high end materials may not be covered by most insurance, however, you can call us to find out how these high quality materials can be delivered with no out-of-pocket expense to you. We encourage you to contact us via phone or email for any of your dental needs. Please use the contact form on the Contact Us section to contact us via email for any questions or comments. In order to insure that you are fully aware of your insurance coverage and benefits, we provide a complimentary insurance verification before your visit. Most insurance percentages are honored. However, please give us a call in order to verify if your specific insurance is accepted.